We started SongDoor back in 2006 so that people who really care about the craft of songwriting could have a place to get their music heard, have an honestly good chance of getting some credible recognition for their work, and end up with something tangible for their effort. 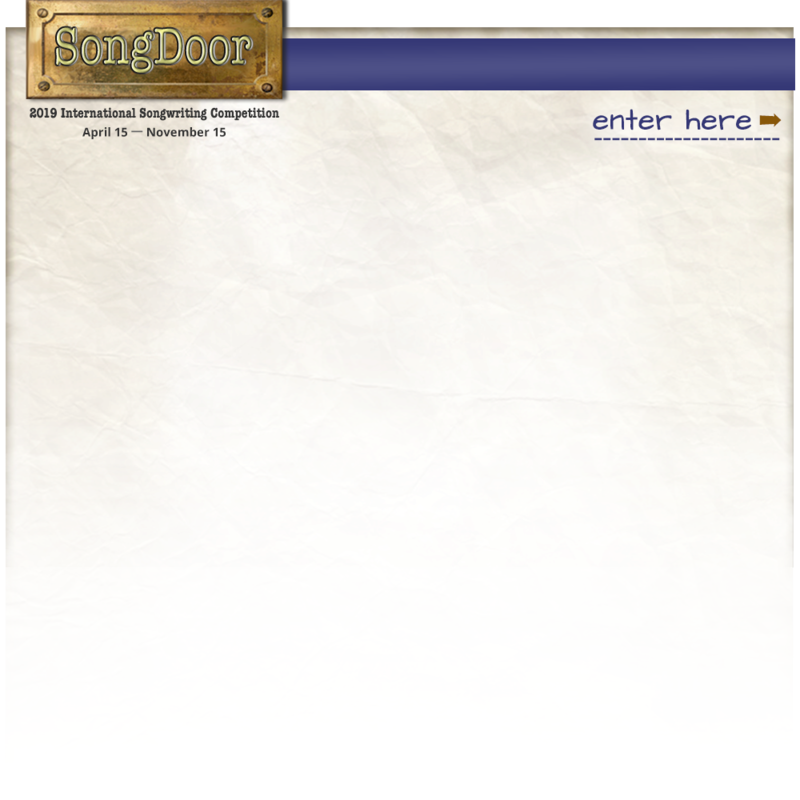 SongDoor is the only competition that provides every single entrant with a free an unlimited access trial to SongU.com, plus a Broadjam Film/TV membership, plus a different kind of songwriting software every year. If you've been entering consistently, you've got a nice little library of software to help you with melody-writing, notation, chord transposition and a few other critical aspects of good songwriting. This year you'll get another great program that's compatible with Mac and Windows, absolutely free — just for entering. Why do we do it? Because we want to help you be a better songwriter. No strings, no obligations. Ask anyone who's entered a song, they'll tell you. When you enter one of the "big" contests, you send your song and your entry fee and you're dang lucky to hear anything again. We are different, and you will find this out in a hurry if you ever contact us about anything. We do not - repeat: do not - get any kind of kickback from any of our sponsors. Our entry fee is a third of what other major competitions charge, and at $10, is by far the lowest out there. The songwriter services we provide are not profit-making ventures; we virtually break even on them. We do this because we are songwriters; our friends and colleagues are songwriters; and we know what's it's like. We give everybody $220 worth of songwriting tools for a $10 entry fee, meaning we give away far more than we take in. Believe it or not, we are not in this for the money. If we were, we'd charge $40 an entry and double our songwriter services fees. This is why we have the most loyal group of entrants on the planet. In sum, we're here to help you be a better songwriter and to get your music heard by someone who can actually do something about it. If you have any questions, or suggestions for making the site or the competition better, please email us. We love hearing from you all.